We believe a successful project begins with our people. Direct principal involvement with every project allows us to merge your vision with our practical experience to achieve your goals. Our work is responsive, innovative, and dedicated to project delivery. We strive to provide our clients with substantial return on investment regardless of whether the performance metric is financially or philosophically motivated. Sustainable design should be responsible to the pocketbook as well as the environment. Founded in 2002, Skyline Engineering is a full service mechanical and electrical consulting firm holding professional registrations in South Dakota and the upper Midwest. We are also registered with the National Council of Examiners for Engineering and Surveying (NCEES) allowing us to quickly become registered in any state should the need arise. Beyond our core services of mechanical and electrical engineering, we are known regionally for our specialized skills related to geothermal systems, indoor air quality, and lighting design. The proactive approach we take during the design allows us to enjoy open working relationships with the architect, owner, facility user groups, authorities having jurisdiction, and utility providers – everyone who could, and should, impact the facility design. Our experience spans the breadth of project delivery methods including traditional design-bid-build, design-build, construction manager at risk, and integrated project delivery. Irrespective of whether we are engaged by an owner, architect, or contractor, we understand the nuances of each delivery method as well as the requirements and duties of each party during every stage of the delivery process. Listen, understand, and then deliver – we focus to solve your needs by delivering a quality project on time and within budget. 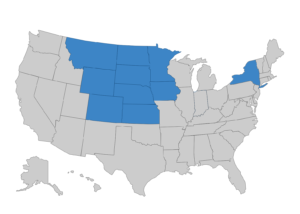 Several of our Engineers have NCEES Records established, enabling us to quickly become registered to work in most states.